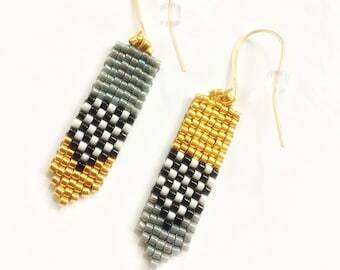 This listing features a pair of elegant chic seed bead column earrings with a cute geometric print. 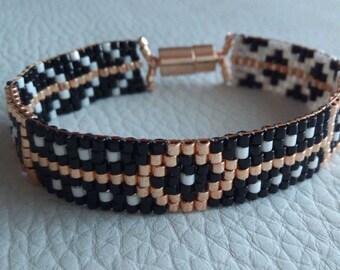 Fully designed and crafted by me with love, care and inspiration, using premium quality Japanese glass seed beads and a very strong thread for bead weaving. 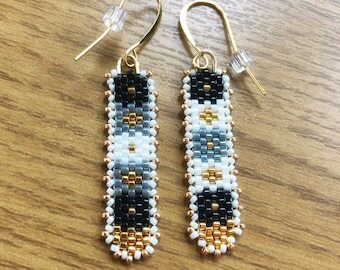 Every single bead is picked and woven one by one, not on a loom, which means that 6 hours of beadwork were at least needed. 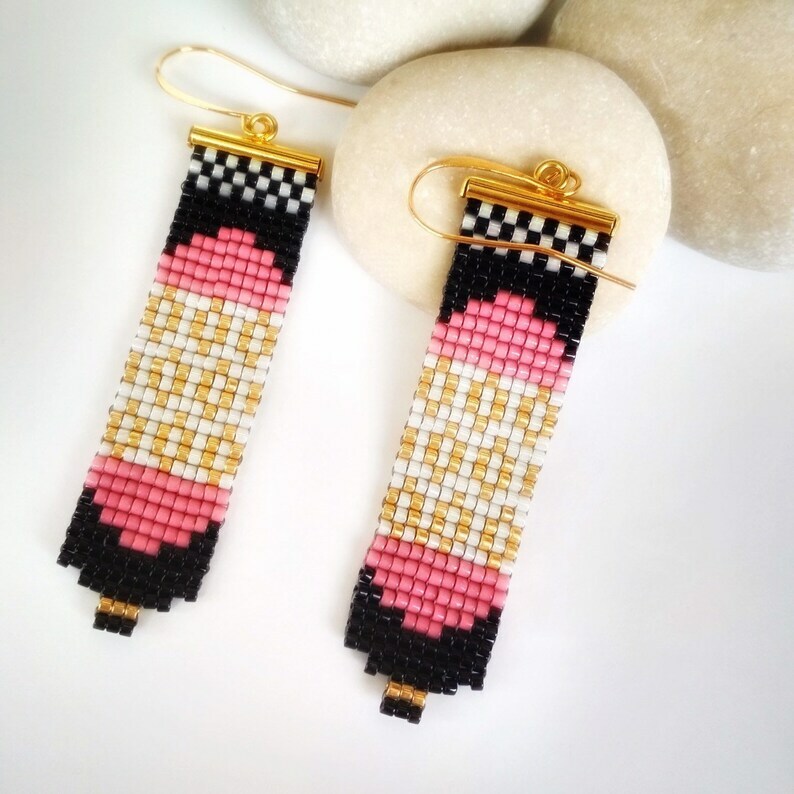 I have used tiny seed beads in glossy black, guava pink, vanilla cream and shiny yellow polish gold hues, to form a geometric pattern that makes it a pretty eye-catching piece! 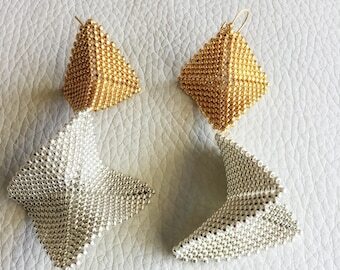 These earrings hang on gold plated ear wires which come with silicon stoppers. They are very lightweight; you can hardly feel them on. 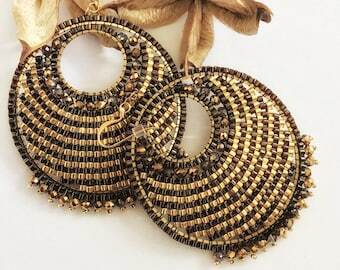 SouSou jewelry is made only with the highest quality materials to ensure its beauty and durability. With proper care, SouSou jewelry is made to last! 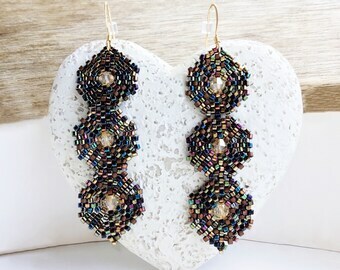 Delicate and stylish, they can match perfectly an elegant outfit.